Algeria is a gateway between Africa and Europe. 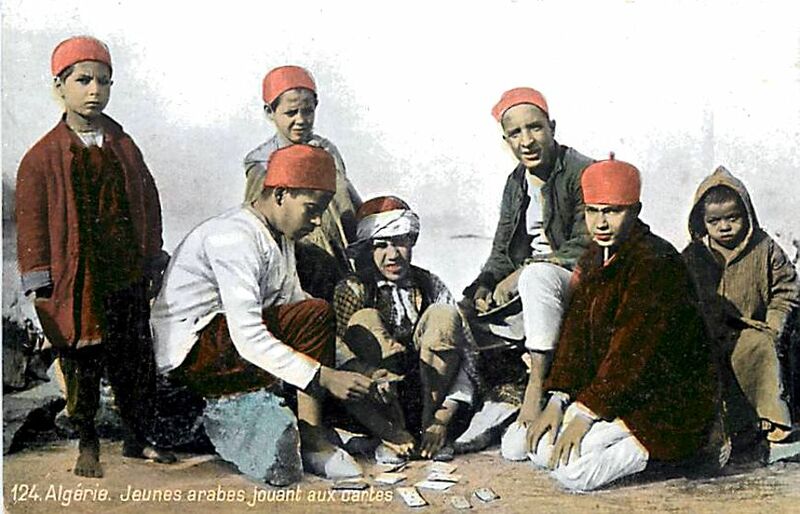 Cards were also made by Camoin (Marseille), Malka Frères (Casablanca) and other anonymous manufacturers for export to Algeria. 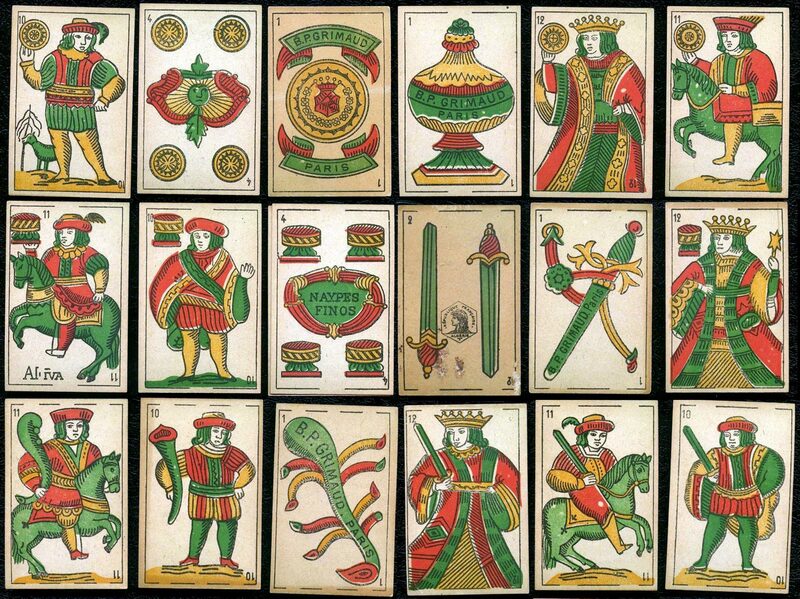 These were usually distinguished by a preponderance of green and a repeating pattern of stars and crescents on the backs. 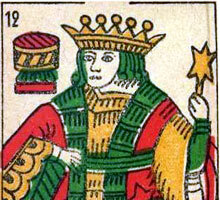 The tax stamp can be seen on the two of swords. 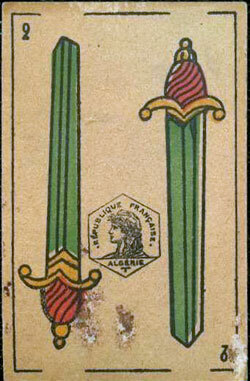 Above: Spanish suited playing cards produced by B. P. Grimaud (Paris) for Algeria, around 1910. 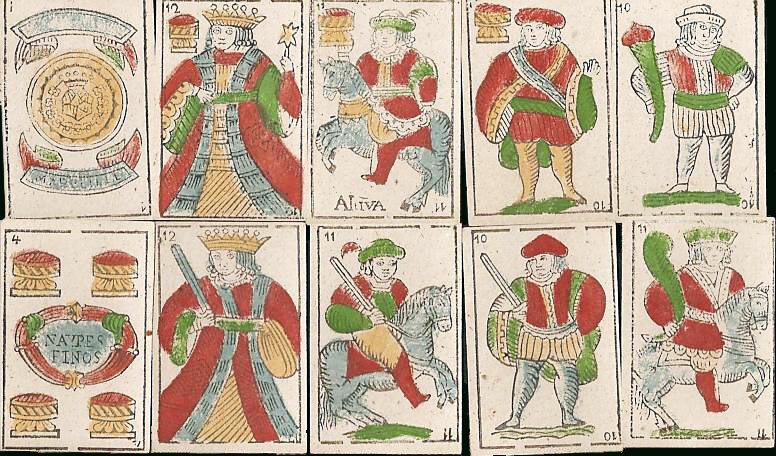 The cards have square corners and small indices. Image courtesy Juan José Pérez-Castejón.